"Pa, I am the shortest in my class," complained Josh, "and people tease me for that." "Do they?" answered Rosh, "Well, they don't know the secret advantages of being short then." "Advantages?" exclaimed Josh, suddenly excited, "What advantages, Pa?" "The best things in life come in small packages, sunny boy," said Rosh, "Being vertically challenged has many advantages." "For starters, people mistake you for looking younger. Cos you look so little. You can get away with paying child prices even when you grow up." "The Guinness Book of Records tells us that the shortest fully grown living man is Chandra Bahadur Dangi from Nepal, height 54.6cm." "That's less than your size. Imagine the savings he would make, not having to buy adult sizes. He'd use less soap, less shampoo and less water to bathe or shower. He could sleep in baby cots anywhere." "Jackie Chan and Jet Li, the great kung-fu masters of our time are short. Jackie is 174 cm, just a bit taller than I and Jet Li is even shorter at 168 cm. Being short is an advantage for them. Makes them slip through a hole in a pipe or jump through a ladder without trouble. Imagine Zeng Jinlian, at 248 cm trying to do such stunts." "Umm," said Josh, not quite convinced. "There are many other benefits too," Rosh sensed his lack of conviction and went on, "When you are vertically challenged, you are not often asked to change the light bulb, take down the washing, put away the dishes or dust in the corners of the ceiling. And when your taller brother complains that you never have to do as many chores, you can still walk away with a smile on your lips." That brightened him considerably. Rosh pushed his advantage further. "You get free gifts from lovely air hostesses when flying," he continued, "and leg room is never a problem. You get heaps more kisses from beautiful females and you get to give them heaps more kisses in return. Cos they think you're a little cutie." "There is less chance you'll be seen easily if an embarrassing situation arises. "Out of sight, out of mind" you know." "Then consider the extra love and kindness you get when you're short. Most people think little kids are cute. But when they grow tall, they seem threatening. You get loads of presents and freebies when you are little. But when you grow tall, the supply stops." "Being short is an advantage over the tall, overgrown creatures around you. You don't have to stoop. You have much less back pain. Because you have a lower center of gravity, you're less likely to fall over. This is a proven advantage when surfing, skiing, skating or snowboarding. Even running." "You might think that the greatest athletes must all be tall and mammoth in size. Yeah, you have some giants but it was David who beat Goliath. Athletes like Mary Lou Rettons (142 cm), Manny Pacquiao (168 cm) and Lionel Messi (171 cm) are just as successful as their taller counterparts." "In fact, according to Forbes, as reported by David MacIntyre in his November 27, 2013 article in Sports Money, Manny Pacquiao was the second highest paid athlete in the world. With the sheer volume of his boxing accomplishments, Manny Pacquiao has certainly earned his pay, David said." "The Filipino boxer has become the only eight-division world champion, and has won 10 world titles and 55 of his 62 career fights to date. He is the first athlete from the Philippines to appear on a postage stamp, and was once rated among Time Magazine's most influential people." "Pacquiao's net worth was rated at $85 million, with the help of sponsorships from Nike, Hennessy, Monster Energy Drink and Filipino beer company San Miguel. So, let no one tell you that height is any hinderance in sport." Josh was listening attentively now. Money was serious business after all. Rosh pushed on. "The things some people do to grow tall are hilarious, the things others do are torturous. Like standing in a bowl of manure for a week. Or getting people to stretch you by pulling your hands and feet, or paying them to break your knee bones. What a waste of life, spending it trying to become someone else." "Make the most of what you've got, I say. But if you are still keen on getting up there, there are some simple stretching exercises and posture improvement techniques that will easily add inches. I'll show you a Youtube video on them sometime." 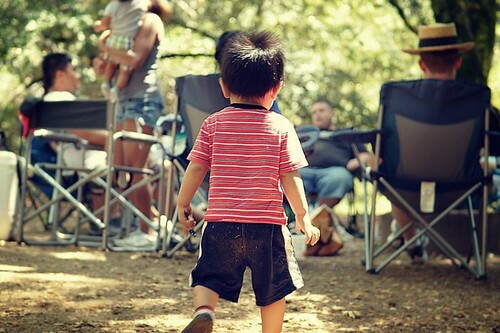 "Being short is nothing to be embarrassed about. Some of the greatest people in the world were vertically challenged. Consider Mahatma Gandhi (164 cm), who brought independence to India or Mother Teresa (152 cm), who brought loving care to its poor masses." "Consider Napoleon Bonaparte or Alexander the Great, both 169 cm, and both our world's greatest generals of all times. Or even Hitler and Stalin, both 173 cm. Both may have caused grief to their world, but their determination moved whole nations and created history." "What we shorties lack in height, we make up in stature. So march young fellow, with your chin held high. You have nothing to be ashamed of."